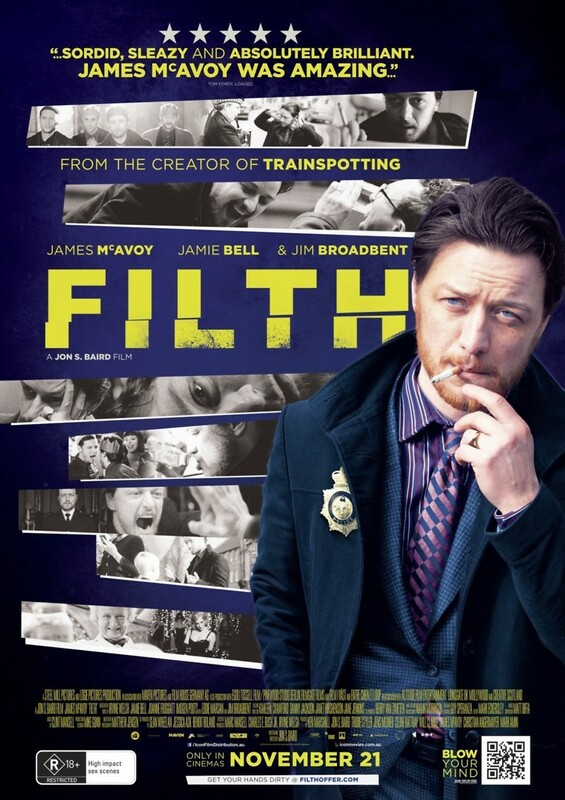 Filth DVD and Blu-ray release date was set for August 12, 2014. Corrupt policeman Bruce Robertson, a schemer, drug addict and bigot, will do whatever it takes to grab the promotion to Chief Detective, a position for which all his fellow officers are also striving. During the course of the investigation of a particularly vicious murder, Robertson lies to his colleagues, sabotages their efforts to solve the case and seduces their wives to distract them. Robertson finds himself getting lost in his own web of lies and deceit while also trying to deal with the disappearance of his wife. His companions are beginning to catch on to who he is and what he's doing. Can he stay sane, solve the murder case and win the promotion to Chief Detective while his entire world is falling down around him?